6 April — Zug, Switzerland — Contract Vault, the leading Crypto Valley-based platform for customizable legal and smart contracts and legal tech services, and ChainSecurity, the top provider of fully automated formal smart contract audits have announced a strategic partnership. The goal of the partnership — in its initial phase — will be to promote the safe and secure usage of smart contracts in a growing number of businesses and to further integrate the services of the two companies. 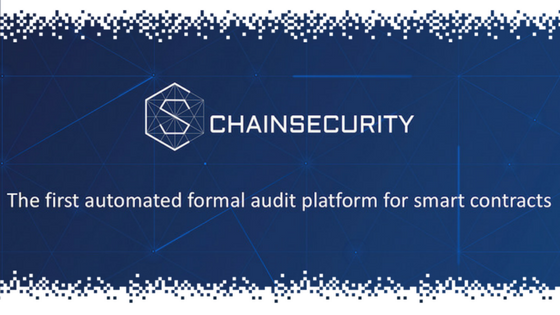 The partnership and the eventual resulting commercial collaboration between ChainSecurity — a spin-off startup of ETH Zurich’s ICE centre and Contract Vault — co-founded by the former Managing Director of one of Switzerland’s first cryptocurrency mining companies — highlights the significant potential for adoption in the near future. Despite broad interest in the wide range of possible use cases for smart contracts, the lack of technical knowledge among lawyers and business leaders creates a barrier to implementation, and the scarcity of blockchain developers capable of carrying out smart contract audits leads to potential security risks. 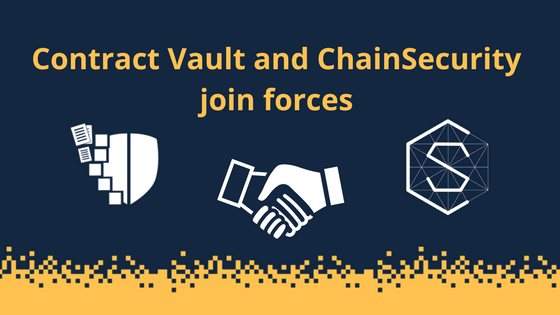 By joining forces Contract Vault and ChainSecurity lay the foundation for the expansion of new services for legal firms and forward-looking businesses who wish to gain easy access to legally-enforceable digital contracts that incorporate smart contract elements. Contract Vault has already partnered with Laux Lawyers and Validity Labs, two of the leading Swiss firms in the area of legal tech and smart contract development respectively. In the coming months, the two companies will explore a range of technical integration possibilities, including a possible offering of services for companies wishing to use smart contracts for various stages of an Initial Coin Offering (ICO). Contract Vault itself is powered by the Vault Token. The Vault Token crowdsale begins on the 1st of May. Built in the heart of the Swiss Crypto Valley, in Zug, Contract Vault is a Blockchain-powered platform on which anyone can develop, use, resell, customise and repurpose legally sound contracts. 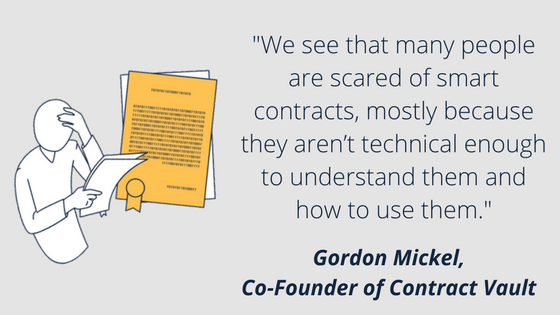 It’s a toolkit for building contracts as simply as drag-and-drop, a marketplace for selling them and a secure environment for witnessing them. We’re also a home for tomorrow’s smart contract automation; where fulfilled contracts automatically lead to events like money changing hands or documents being updated. From buying a home to unlocking micropayments in third world countries, Contract Vault is the new world of trust. Join us in transforming the world of legal and smart contracts! Get updates on our movement to make (smart) contracts “truly smart”. Follow us on Twitter, Telegram, Medium, LinkedIn and Facebook! 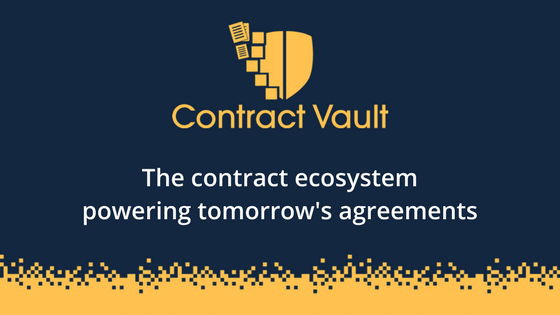 Contract Vault is an advanced platform and marketplace for creating truly smart contracts.